As soon as the Wisconsin spring is warm enough, containers of plants can be moved outdoors. 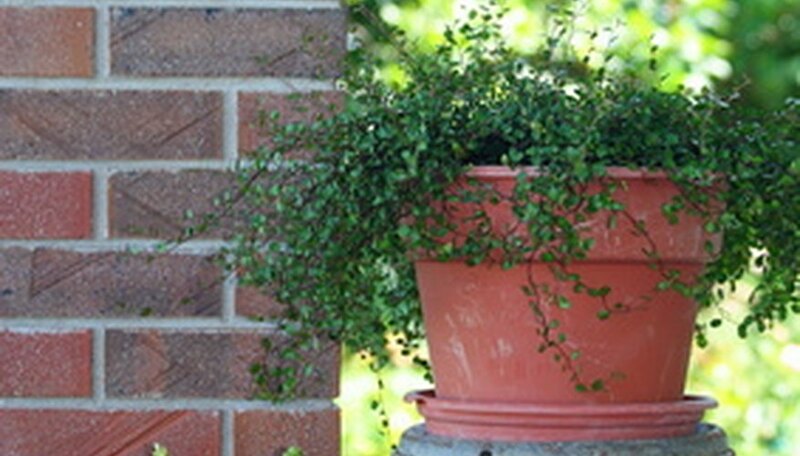 For a beautiful patio filled with potted plants, there are a variety of sizes of pots and a variety of plants. Container gardens are especially suited to Wisconsin, where rapid temperature changes can take place in the spring and fall. Containers need to be in a protected area when inclement weather threatens, but they should be moved back into the sunlight when the weather clears. Garden pots need careful monitoring for moisture. They tend to dry out quickly and may need watering two, or even three, times a day. Wave petunias are unusual in the petunia world because they have a dense, spreading habit with no deadheading required. Wave petunia plants never need to be pinched back. A single plant will reach 8 to 10 inches tall and will spread 30 to 48 inches. This plant is ideal in a large garden pot or hanging basket. A wave petunia in a hanging basket needs a large container with plenty of support for the heavy plant. 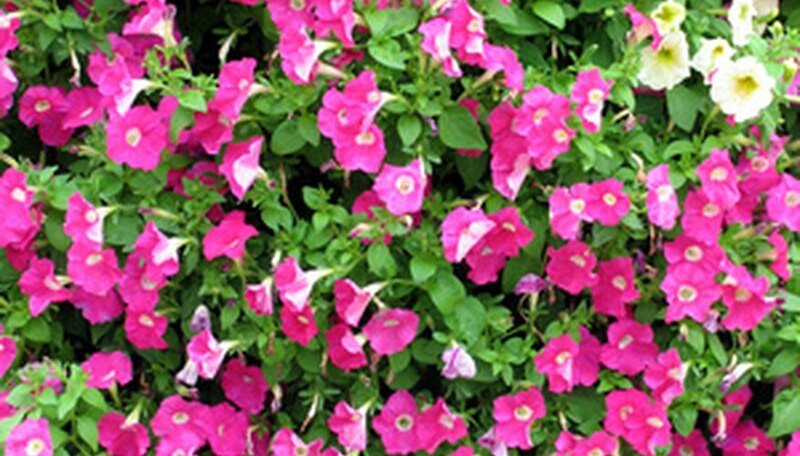 Petunias need full sun and moist soil, and they should be fertilized every 10 to 14 days. You can start seeds indoors early or purchase plants. Geraniums are excellent plants for garden pots and containers. You can use individual geraniums in 8 to 12 inch pots or several as bedding plants in a large planter. Geraniums are ideal in combination plantings in large patio garden pots. 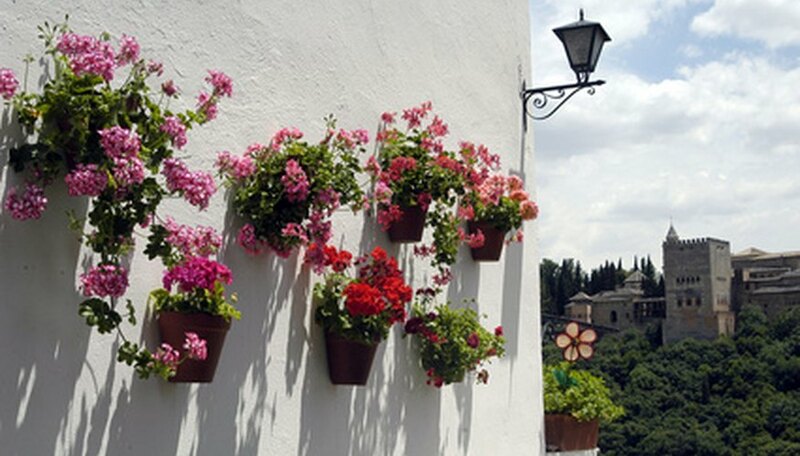 Trailing geraniums, also called ivy geraniums, are perfect for hanging baskets. Geraniums need full sun and evenly moist soil. Many geranium varieties have colorful variegated foliage, which adds a bonus splash of interest to the patio. You can start seeds indoors, purchase plants, or use cuttings from last year’s geraniums. In the wild, 119 species and subspecies of fuchsia have been identified and named. From these, thousands of crosses and hybrids have occurred. Fuchsias prefer full shade and cool temperatures, so a shady Wisconsin patio is ideal for a hanging basket or large pot of fuchsia. Fuchsias need evenly moist soil. Some varieties of fuchsia are shrub-like and will fill a tub planter. 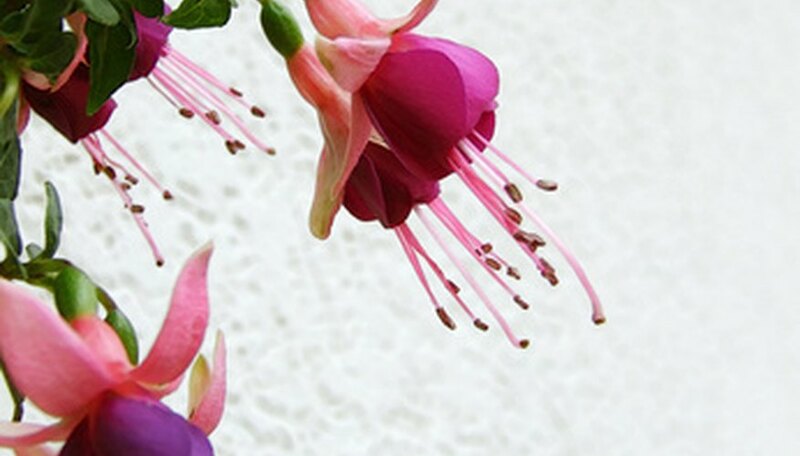 You can start fuchsia indoors from seeds or cuttings, or purchase plants. They need to be moved indoors during cold weather. Pansies are easy to grow from seed. They prefer cool temperatures and are well-suited to a cool Wisconsin patio. 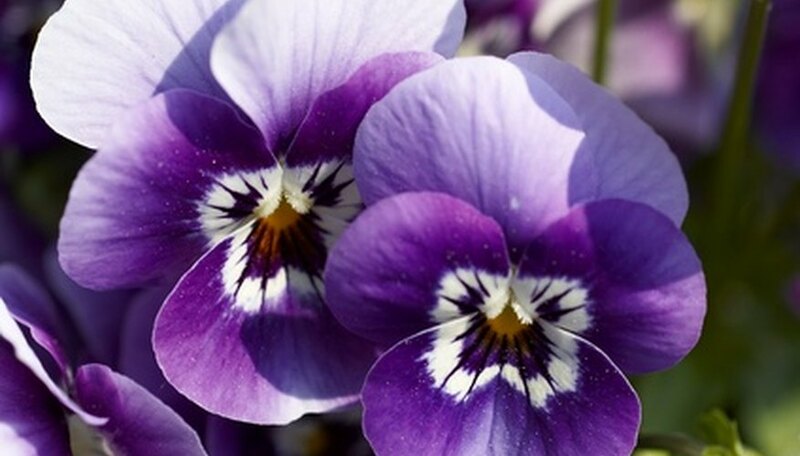 Pansies will bloom very early in the They need evenly moist soil that is never soggy. If they get leggy, pansies need to be trimmed back so they will produce more flowers. They will continue to bloom until the hot summer if the faded flower heads are removed regularly. Early pansies need full sun for the earliest blooms. To prolong flowering, it is best to move pansies to partial shade or full shade as summer approaches.